Ride-services company Uber is facing a divided board of directors and angry shareholders after investor Benchmark Capital filed a lawsuit against the company's ousted chief executive, Travis Kalanick, dealing another blow to the firm as it struggles to recover from a series of scandals and hire a new leader. 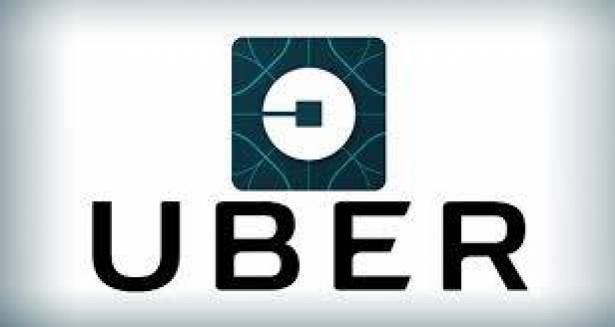 On Friday morning, three Uber investors asked Benchmark to divest its shares and step down from Uber Technologies Inc's [UBER.UL] board, according to an email published by news website Axios and confirmed by Reuters. Also on Friday, members of the board of directors sent an email to Uber staff expressing dismay over the Benchmark lawsuit, according to a copy of the note obtained by Reuters. "The Board of Directors is disappointed that a disagreement between shareholders has resulted in litigation," the directors wrote. "The Board has urged both parties to resolve the matter cooperatively and quickly, and the Board is taking steps to facilitate that process." Benchmark, in its lawsuit filed on Thursday, is seeking to force Kalanick off the board, and accuses him of concealing a range of misdeeds and scheming to retain power at the company even after he was forced to resign as chief executive in June. Benchmark was among the Uber investors in June who pressed Kalanick to step down after a string of setbacks. Investors Shervin Pishevar of Sherpa Capital, Ron Burkle of Yucaipa Companies and Adam Leber, an angel investor who works for music company Maverick, on Friday wrote an email to shareholders and board members calling for Benchmark to remove itself from the company board and divest enough of its shares so that it would no longer have the right to appoint other board seats. "We have investors ready to acquire these shares as soon as we receive communication from Benchmark that they are willing to withdraw their lawsuit and sell a minimum of 75 percent of their holdings," the email said, according to Axios. Reuters confirmed the email with a source close to one of the investors. The three investors and Benchmark could not be reached for comment. The division and hostility emerging among Uber investors and directors opens a new front in a highly unusual public battle for Silicon Valley. It is rare for a venture firm to sue the central figure of a valuable portfolio company, and equally unexpected for investors to make a counter-move to push out a fellow investor backing the same company. Pishevar, Burkle and Leber -- who are not members of the board of directors -- said Benchmark's lawsuit harms Uber's valuation, interferes with fundraising efforts and impedes the company's search for a new CEO to replace Kalanick. Benchmark's tactics are "ethically dubious and, critically, value-destructive rather than value enhancing," the investors wrote in the email, according to Axios. The email from the board of directions was signed by Yasir Al-Rumayyan, Ryan Graves, Arianna Huffington, Wan Ling Martello and David Trujillo. Missing were the signatures of Kalanick and Benchmark board member Matt Cohler. It assured staff that there were "several outstanding candidates" for the CEO job. One Uber investor told Reuters that Kalanick's continued role at the company has complicated the CEO search and scared off some good candidates.